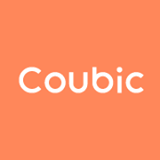 Event Type Reservations – Coubic Inc.
Customers can make reservation requests from given timeslots based on the total slots you allot. Suitable for services such as seminars, trial events and leisures. Click on "Create Post" and select "Add Reservation Page". Then select "Event Type". Set your timeslots, along with maximum number of customers for your service. Once a reservation is made, it will reduce the number of vacant slots available for other customers. If you are providing your service on a regular basis, you can repeat your given timeslot you've set on daily/weekly basis.